Sunday, 17th July 2011 was the first full day of the trial TransWilts line extra summer sunday train, and I went along to take pictures. It then leaves Swindon at 08:20, Chippenham at 08:35, Melksham at 08:45 and Trowbridge at 08:55 and goes to Westbury, then on to Frome, Yeovil, Dorchester and Weymouth where its arrives at 10:46. After a day in Weymouth, there's a return train at 17:56 ... which divides at Westbury, the rear coaches carrying on to Trowbridge, Melksham (19:52), Chippenham (20:02) and Swindon (20:20). 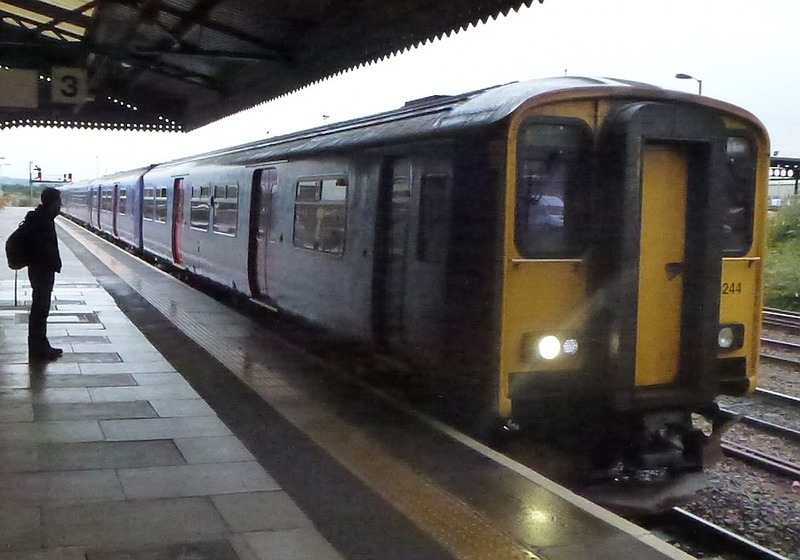 There's also a connection off the 17:00 from London at Swindon for all stations to Westbury, for people who have been to London for the day. 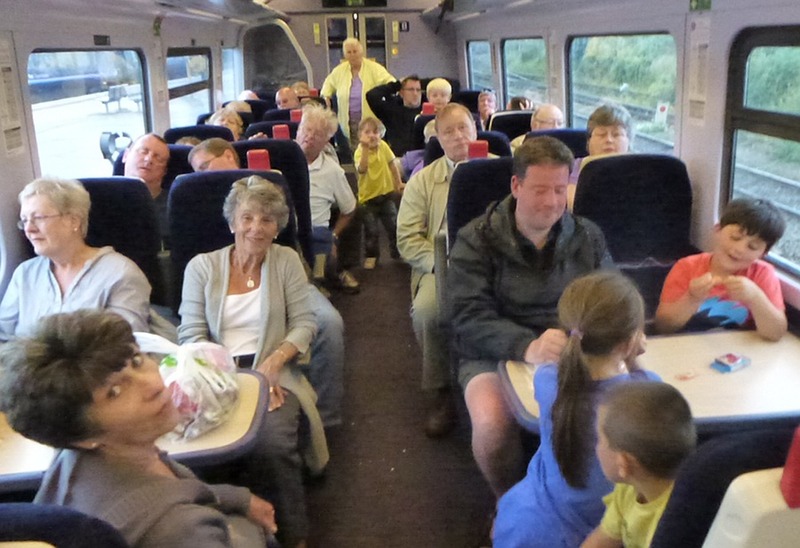 Crowds of returning day-trippers in the rear coach, all headed back to Melksham, Chippenham or Swindon. And moving forward to the next coach - further crowds. I asked around - a great day had by all. "Yes - we would go again. And we would recommend the trip to our friends" they said. A little bit of good humoured joking about the lack of a buffet car (but on the way down, they had all dashed into the buffet at Westbury where there was a ten minute stop which the Conductor had helpfully announced. The service now runs every Sunday, with the same timing, to the end of August. 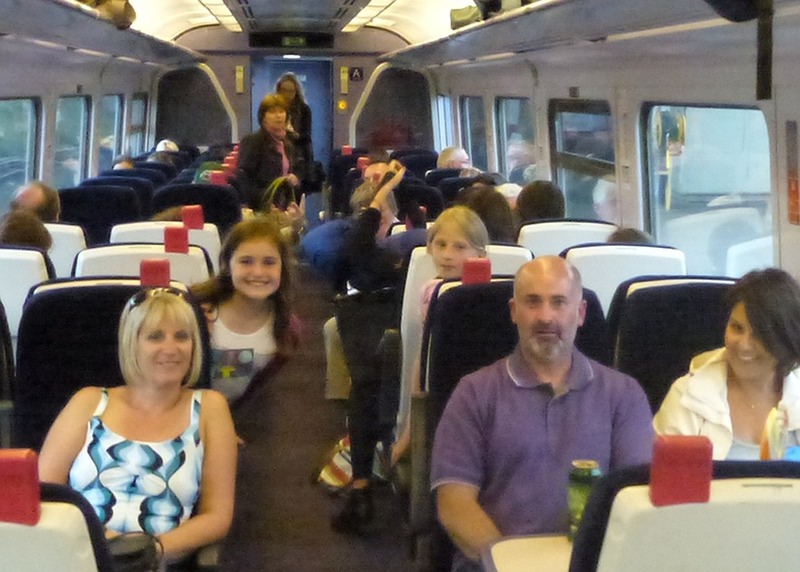 An adult day return ticket costs £15.60 from Swindon to Weymouth, and GroupSave tickets allow 4 adults to travel for the price of 2. Buy your tickets at any rail appointed travel agent, on line, or on the day. For more details, see www.transwiltsrail.org.uk. Is the RUH hopper a limited, duplicate service running unnecessarily and at high cost?